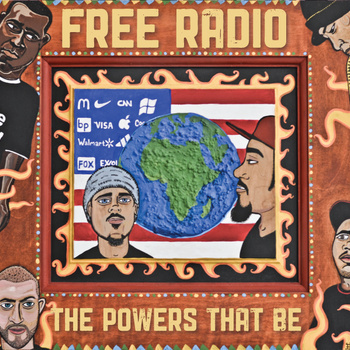 Free Radio is an independent hip hop collective born from the abundant and thriving music scene provided by the progressive atmosphere of Asheville NC. 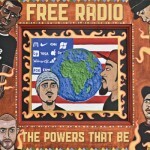 The locally anticipated release of their debut album “The Powers That Be” exhibits the typical industry repressed, cognizant side of hip hop. The lyrics represent an increasingly large amount of listeners/artists who are becoming bored by the stereotypically negligent presence felt from our current state of the entertainment industry. Their brand of hip hop involves a melting pot of beats by producer/emcee Dirty Frost. His style bares resemblance to such golden era producers such as Pete Rock, to slightly more modern, dirty south style producers such as Manny Fresh and ties everything from jazz and blues, to afro-Latin, rock and folk, into hip hop. Music and rhymes aren’t new to this collective. The group was formed from a crew called The Ville Boyz that held a long history in the Asheville area, performing with such artists as Ice Cube, Ghostface Killah, Gangstagrass & Granola Funk Express. Separately Free Radio members Smidi, Johnboy and Dirty Frost worked and created projects as a part of the “psychedelic country rap crew” The Fist Fam and singer/guitar player Jeremy Indelicato continues his work as a solo singer/songwriter. As the love and recognition for true hip hop artists grows, so does the work ethic and intensity of Free Radio’s collective body. Their first and latest release “The Powers That Be” is most definitely evidence of that.